An effortless dessert that satisfies you and your guests taste buds is all you really need to nicely end a meal. So, when it comes to the last course don’t feel the need to over impress and start entering the world of Paleo baking (which can be quite a task and tricky). This no-bake dessert is exactly what you need. 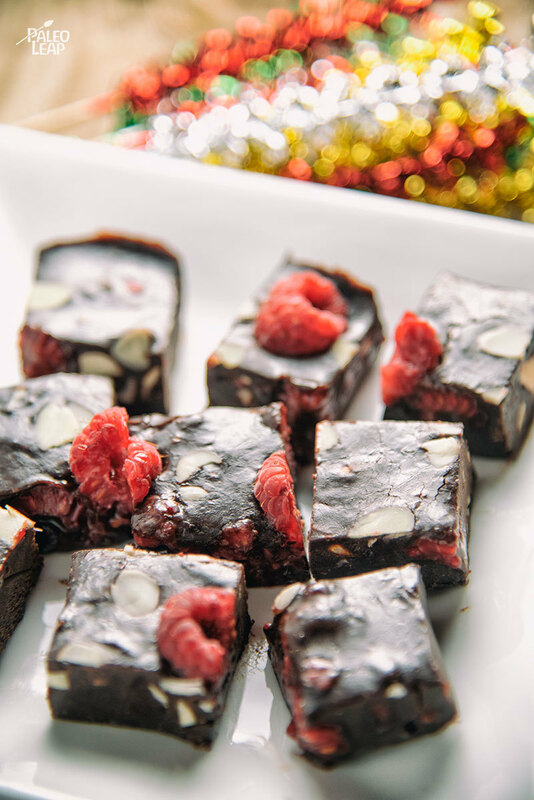 It pairs the classic combination of chocolate and raspberry with a crunch of almonds into little bites of decadence. Not only do these chocolate bars avoid any baking, they can also be made ahead of time leaving you one less thing to do on the day of your gathering. Another nice thing is you can make them into your favorite flavor combination if raspberry or almonds aren’t your thing. Blueberry and almond, or cherry-walnut also sound equally scrumptious to us! This recipe includes coconut butter, which can also be called coconut manna. If you’ve never had it, it’s coconut meat pureed into a creamy consistency similar to a nut butter and won’t ever melt at room temperature like coconut oil. If the coconut butter is crumbly you can either microwave it in 30-second intervals or soak it in warm water until it softens. Just be warned, it’s delicious and often eaten right from the jar in spoonfuls. Combine the coconut oil, coconut butter, maple syrup, and cocoa powder over a double boiler, and whisk until blended and smooth. 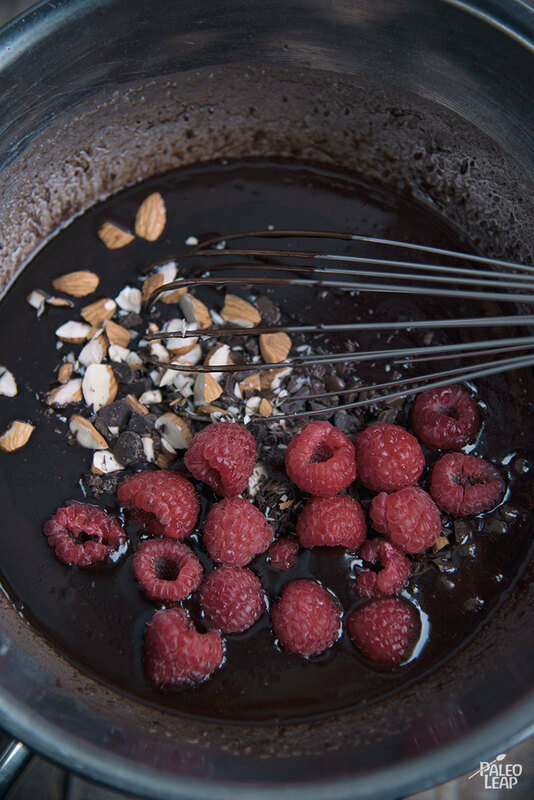 Add in the dark chocolate bits, chopped almonds, and the raspberries, gently stir. Line a 9×9 baking pan with parchment paper and pour the chocolate in evenly. Place in the freezer and freeze 15 to 20 minutes. Slice while the mixture is still cold, and serve at room temperature.